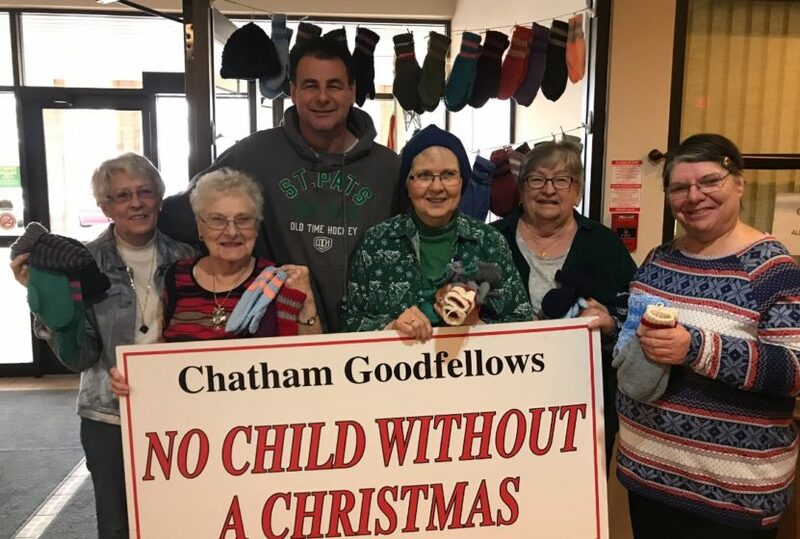 generosity to “Ensure No Child Without a Christmas”. 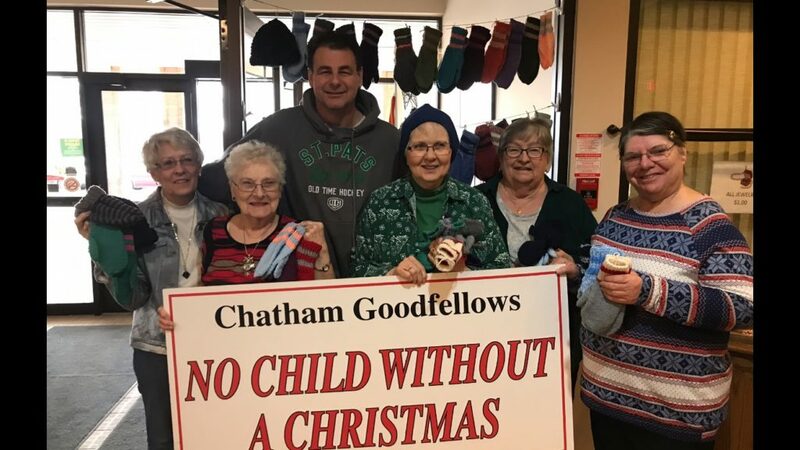 to the fill the void, and continued to knit mittens for Chatham Goodfellows. Weover and Debbie Mardling, turn over the mittens to President Tim Haskell . 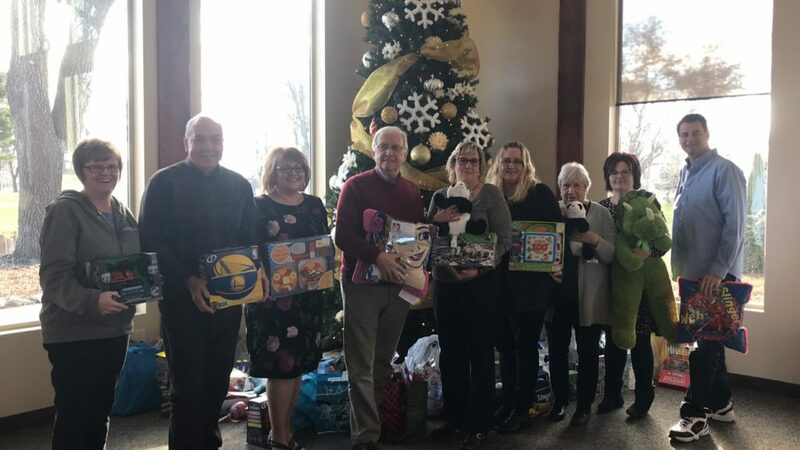 Recently the CK Family Health Team held their annual Christmas luncheon. the photograph (L-R) Marlene, Liz, Tami and Ally. need in Merlin, Dealtown, North Buxton and the former Township of Raleigh. – Toy Packing 6pm to 8pm December 10 to December 13, 2018 at 463 St.
Clair Street (the former Fabricland building next to Dimitar’s). – Delivery date is Monday, December 17, after 5:30.
deliveries beginning at 11:30 am. 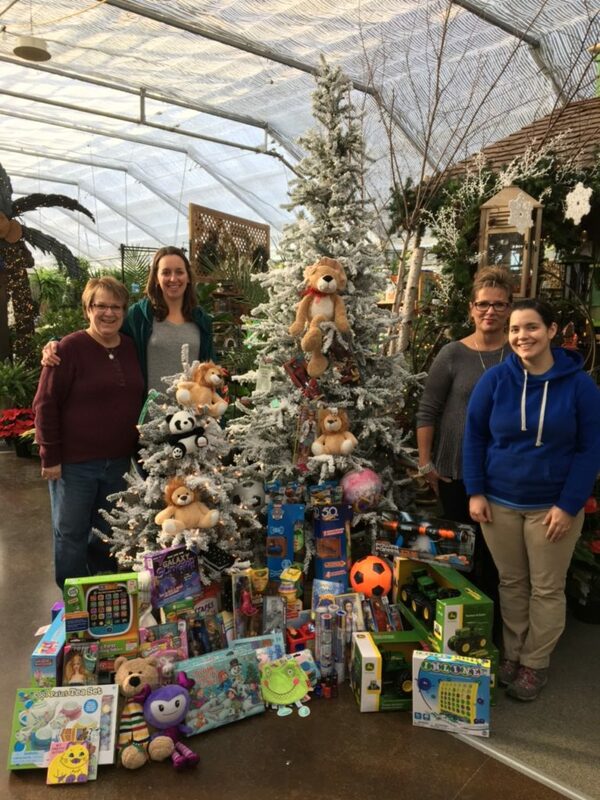 » In The News » Thank-you for your Generosity!